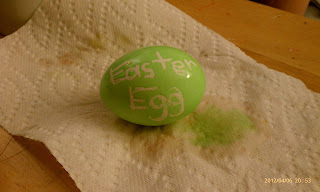 Thanks to Pinterest, I found a new way to dye our eggs for Easter. 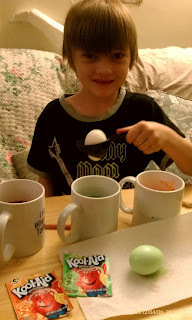 Instead of vinegar and those little tablets, we decided to color our eggs with a little water and Kool-aid. Of course this all depended on if I was successful in hard boiling the eggs. I know it's easy, but I've failed more than I care to admit at that process! is all we needed for each mug. We avoided yellow because it's a light color, but we chose to go with pink. Eggs in pink had to sit a while before the color took. But good thing I read the entire blog with directions or I never would have known that purple could turn the eggs gray if left in too long. 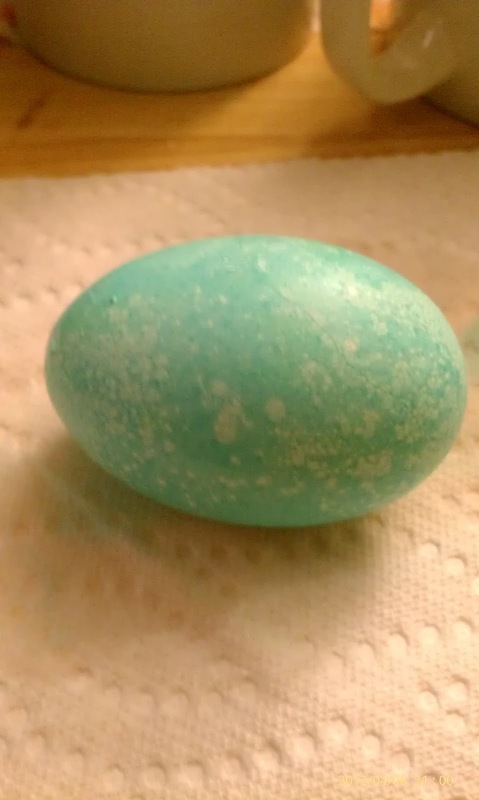 Just by chance it came out speckled! Little Dude also dipped in egg in every color. We decided this resembled a dinosaur egg. 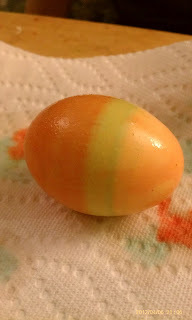 GG took advantage of her egg holder to make stripes. Doesn't this look like it should be made of Jell-o? The kids had so much fun with this new way of dying eggs! And GG even did at little advertising for me! 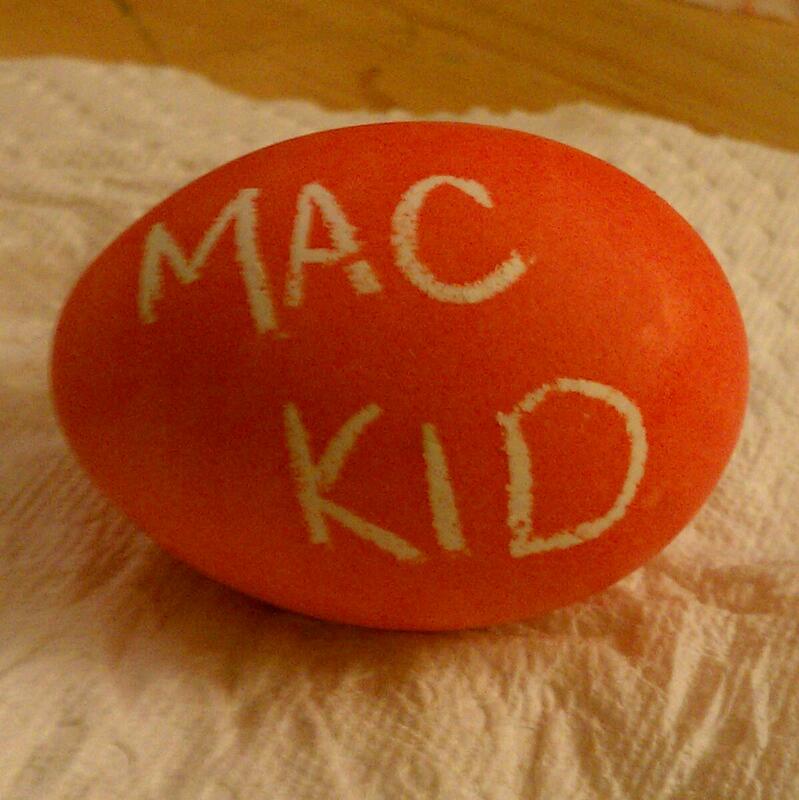 How was your Easter? Do you have any traditions? Did you try anything new this year? 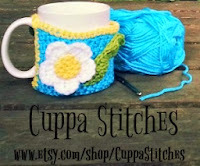 You can find me on Pinterest HERE. Directions for this activity on in my "Easter" board. 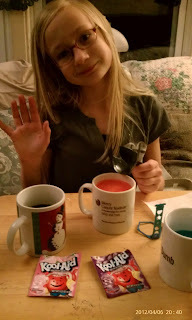 We also did the Kool-aid kids (thanks to Pinterest). The kids loved it. Hint : Pink ~ New Flavor, Strawberry Kiwi...much better pink. Cute!! We did the old fashioned vinegar and tablets, but we bought neon tablets. I liked the bright colors. Oh, and this year it was nice out, so we did the eggs out on our deck. No stinky vinegar in our house!! 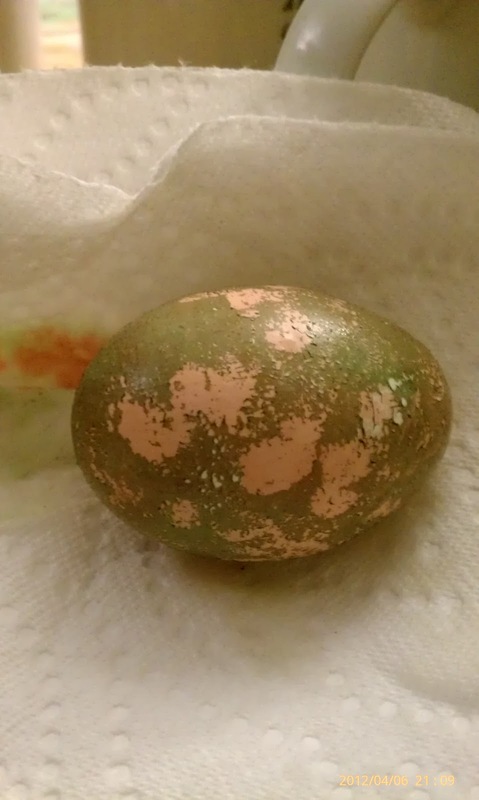 A friend tried that and it didn't work for her...the color rubbed off when the eggs were dry. We were going to do kool aid but on her experience decided to try something else. 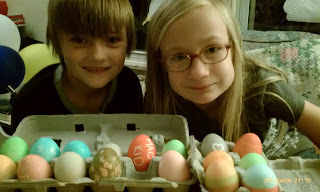 We used natural dyes this year which worked pretty well. We boiled water with Tumeric for yellow, with beets for purple, green tea for a greenish and paprika for red/orange. The colors were subtle. Since it worked for you we might give kool aid a crack next year!